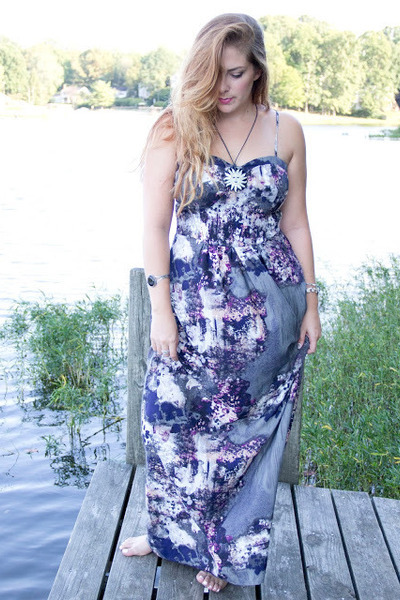 I absolutely love this maxi dress and have worn it quite a but this summer, either as a work outfit or just a casual day-wear piece or going out to dinner. I was lucky enough to snag it before Piperlime went away (still super sad about it btw) and it was such a great deal! This kind of outfit is perfect for chillin' on the dock and just relaxing and taking in the summertime vibe.